Ah…dining in paradise. 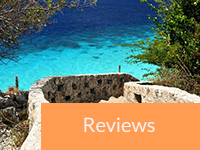 Over the years, Bonaire has blossomed into a foodie’s dream destination. With so many fine dining restaurants popping up around the island, you’ll be hard-pressed to hit them all up during a single vacation. If your pocketbook can handle that sort of thing. But sometimes you just don’t feel like a fancy (and pricey) meal. Those are the days (or nights) when you just want to grab something simple and save a few bucks. Someplace where you can “come as you are” and devour a tasty breakfast, lunch or dinner, then be on your way. No dress code or expense account required. 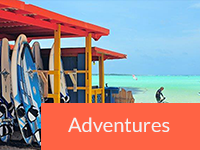 When you’re craving cheap eats on Bonaire, check out these “go-to” choices for meals that are big on satisfaction and low on cost. 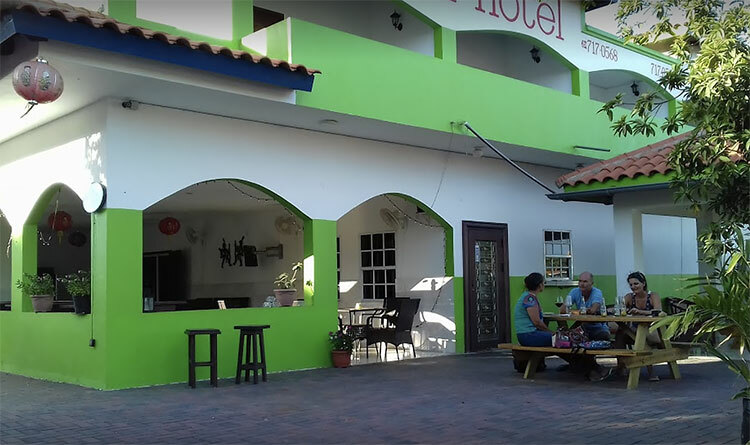 Located in the Sand Dollar Mall, just north of the Hato roundabout, this delicious daytime bistro has become a favorite for visitors and tourists alike. Stop in for healthy breakfast dishes, fresh smoothies and an amazing array of sandwiches. They also serve beer, so if you’re craving a cold one, they’ve got you covered. Take your pick from air-conditioned indoor seating or grab a table on the breezy terrace. 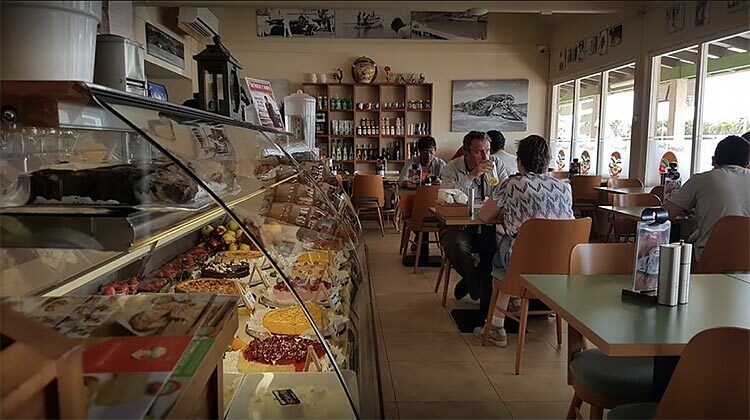 Definitely don’t miss a sweet treat from their dessert case of homemade cakes, pies and tortes. 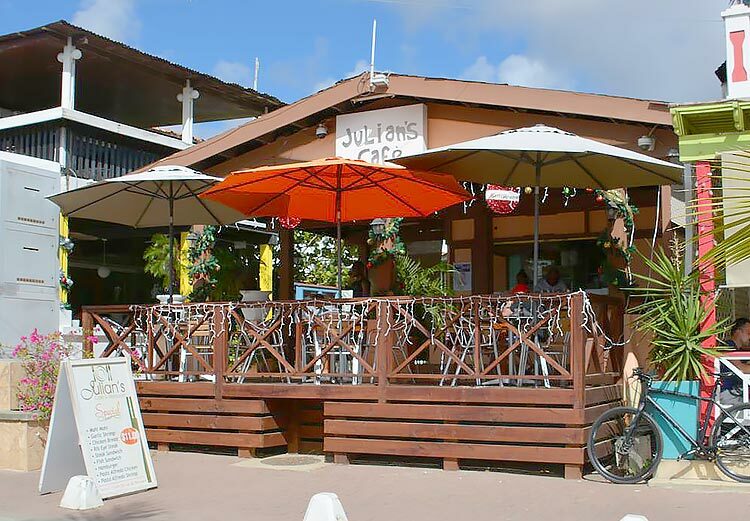 Boasting one of the best harbor views on our list, you’ll find this quaint dining spot on the main oceanfront road in downtown Kralendijk just across the street from Karel’s pier. Enjoy the casual, outdoor ambiance and delicious salads, sandwiches, burgers and pasta dishes for lunch or dinner. One of the big reason’s this spot makes our list? The tasty $14 specials that include a main dish (fish, steak, shrimp, etc. ), soft drink and dessert! When you’re in the mood for hearty, Colombian-influenced food, the spot to hit up is Fogon Latino. Literally meaning the Latin Stove, this small restaurant is located on the Kaminda Sorobon, on the right-hand side just past the roundabout at Van den Tweel Supermarket. Stop in for lunch or dinner and devour delicious plates of beef, chicken or seafood accompanied with salad and your choice of potato. Tasty appetizers and ice cold (cheap!) beers round out any meal. One thing not to miss is the homemade sancocho (soup) of the day. One of the newest entrants into the Chinese restaurant scene, Jasmin Garden is a step above the typical offerings. Take your pick from the air conditioned dining room or the spacious outdoor terrace, and enjoy authentic Asian and Indonesian dishes along with Surinamese-inspired favorites like Nasi Goreng and Babi Pangang. There is also a large, air-conditioned bar. Centrally located between Plaza Resort and downtown Kralendijk on J. A. Abraham Blvd., this place is easy to find and rarely crowded. Find them on the web. This is the hands down favorite pizza on Bonaire. Even with a new location in downtown Kralendijk (and new ownership), nothing has changed with these popular pies. Count on perfect, thick crust pizza with tons of toppings to choose from. 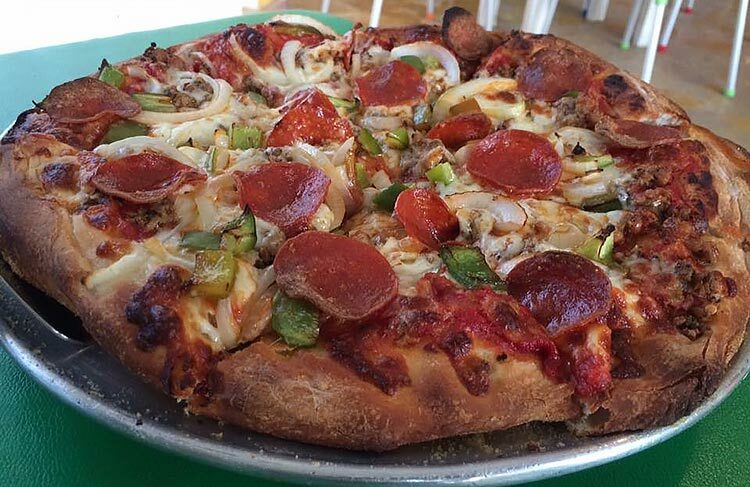 If they have the Lionfish Pizza available, you’d better get a call in early – it’s that good. Their air-conditioned dining room and bar (with really cold beers) is usually full of pizza lovers looking for a no frills dinner. Which is why so many just call in and take out. When you have loyal customers from Chicago to New York (and they do), you know the pizza is on point. Besides all these great options, don’t forget about all of Bonaire’s Fabulous Food Trucks, too. 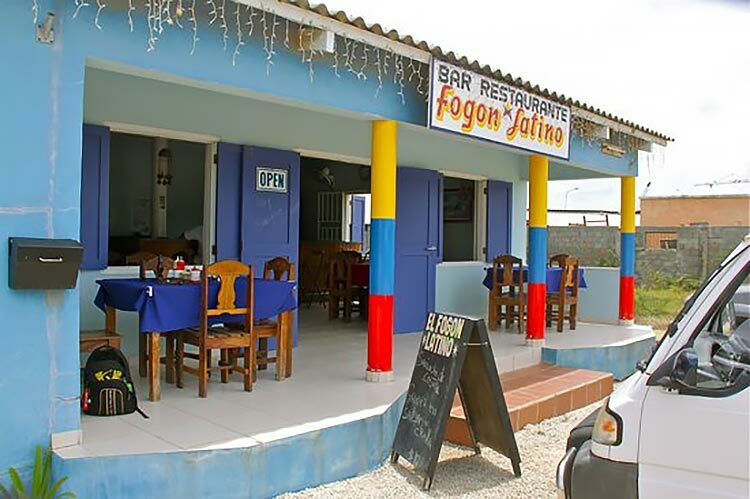 They belong on any hit list for cheap and incredibly good eats on Bonaire. 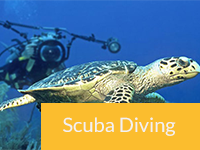 Like the article and would like to receive more information as Bonaire is our #1 Dive location for my wife and I. Last visit was 5 years ago and need to go again soon. 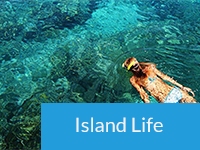 How do you become a BonairePro member? Thanks for the suggestions. 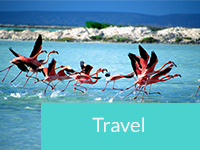 They’ll help me and others branch out beyond the typical tourist destination. Call us at 800-748-8733 and we’ll give you the secret password. Between 2 Buns is incredible. One of my favorite places on the island. Excellent sandwiches, bread made on site, and amazing desserts.